Uzumibi was formed in 2001 in Fukuoka, Japan, having Mai Mishio as the center person. After e a few member changes, Mai Mishio and Kanako Shiga remained when Mai had decided to move to Osaka in 2005. Starting around 2006, the band welcomed Keizo Suhara (gyuune cassette/ex-RASHINBAN) as a support member and this formation has become their style till present. 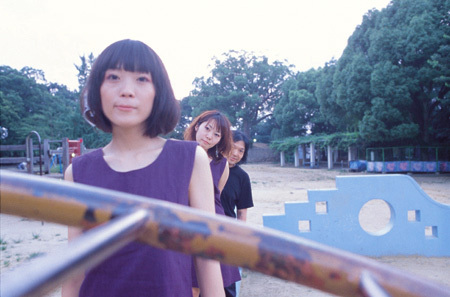 In 2009, they were invited to play in FUJIROCK FESTIVAL, MIYAKO MUSIC FESTIVAL in Kyoto, and many other festivals and shows. Currently, they are playing around Japan though Mai Mishio lives in Tokyo, Kanako Shiga in Fukuoka, and Keizo Suhara in Osaka.